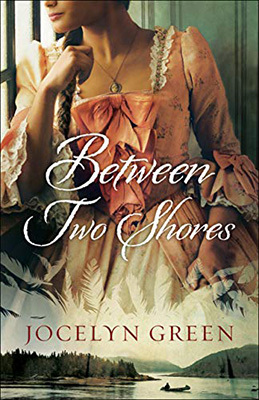 The authenticity of Jocelyn Green’s historical fiction—plot, character, setting, and period detail—is the product of the author’s extensive research. In her books, history is more than a backdrop for her stories, as she deftly intertwines fictional plots and characters with settings and events from the past. 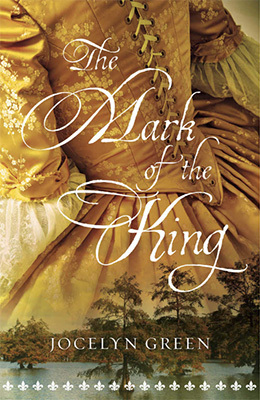 She has won multiple awards for her books, including a 2017 Christy Award for historical fiction for The Mark of the King (Bethany House), a story set in New Orleans in the early 1700s. Jocelyn writes from her home office in Cedar Falls, Iowa, where she lives with her husband and two children, or from a favorite local tea shop. However, not all the research she does can be done over a hot cuppa or in the cozy, book-lined office where her cats might drop by to snooze on the couch. 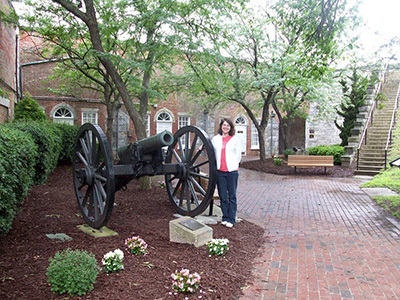 As well as spending time in libraries and museums, she often travels to visit locations she describes in her novels. For any new story idea, Jocelyn begins her quest for historic background material by finding one solid scholarly volume about the time period or event she wants to write about. “From there, I look up all the relevant books in that bibliography or in the endnotes and just chase down all the leads I can find,” she says. That chase often involves interviewing historians, searching official records, library references, and more. Jocelyn finds material in print, online, on microfilm and microfiche. Not all the facts she seeks are historical, however. Some research is to ensure the accuracy of her descriptions and plot points. “For example, I just interviewed a surgeon and a physical therapist about burn injuries, since my character in an upcoming novel will experience those,” she says. Jocelyn’s novels reach back into the eighteenth and nineteenth centuries and feature women as central characters. These and other factors affect the availability of records and information she needs to create the stories. In Jocelyn’s office, cork boards hold images related to her story, helping her keep descriptions accurate and consistent. Details are important to her, from alcohol consumption and hygiene habits, to tools used for household chores and whether streets were paved or not. Sometimes, this means actually walking where her characters might have walked. 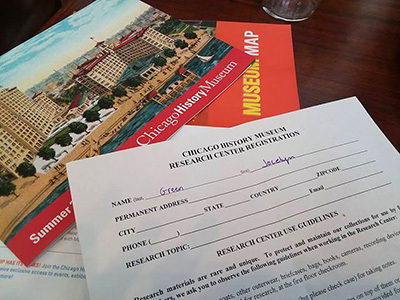 For Jocelyn, onsite research is an important part of understanding her characters and deepening her sense of place for a story. 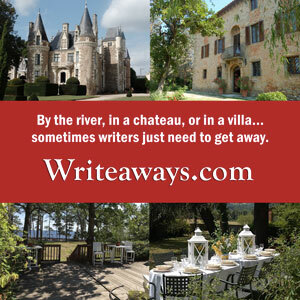 She has been to almost every location found in her eight historical novels, from New Orleans, to a small settlement in the wilderness of Pennsylvania, to Montreal and Quebec City. For upcoming books, she also traveled from her home in Cedar Falls, Iowa, to Chicago. At every locale, she takes pages and pages of notes and a lot of photos. 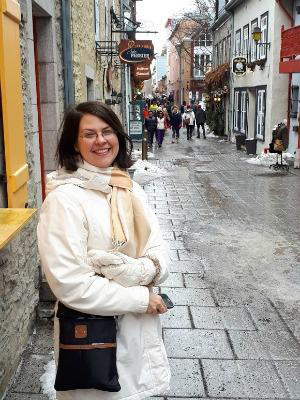 Jocelyn on the slushy streets of Quebec City, on a research trip for her book Between Two Shores. One cold, gray day in March, she walked the steep streets of Montreal, from the waterfront toward Mount Royal, the highest point of the historic city, part of her research for Between Two Shores. Visiting story locations also allows her to dig into records at local archives and see artifacts at museums—personal, often tactile experiences she couldn’t get from books or digital sources. At a museum of archaeology and history in Montreal, for example, Jocelyn saw a model of a glass flask used for lighting in the days before electricity. The flask was filled with fireflies to give off light in the church, giving as much light as several candles. Believable portrayals of characters and their lives requires more than historic details. Taking large amounts of research about sweeping political and social change—during the Civil War in the United States or the French colonial era in Canada—and distilling them to a personal level requires writing skill and intimate sources of research. When working on her book Wedded to War, part of a series of four books set in the Civil War, Jocelyn traveled to Fort Monroe, Virginia. She says history holds so many good story ideas, it’s difficult to choose which one to write about. Research for one story idea often leads her to another, and she works hard to maintain focus on the task at hand. “If I have an idea that doesn’t fit my current plot, I just jot it down in a separate file to revisit later,” she says. Jocelyn continues to mine more gems of history and already has plans for three more books set in 1871, 1893, and 1915, respectively. Jocelyn is the award-winning author of many books of fiction and nonfiction, including The Five Love Languages Military Edition, coauthored with Gary Chapman. 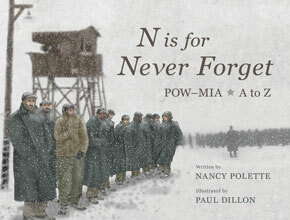 She is also a coauthor of Stories Around the Table: Laughter, Wisdom, and Strength in Military Life. Her next book Between Two Shores debuts February 5, 2019. Terri Barnes is a regular contributor to Books Make a Difference magazine, author of the book Spouse Calls: Messages From a Military Life, and senior editor at Elva Resa Publishing (a publisher specializing in books for and about military families). This article was first published February 2019.